In Acts 2 Peter (Luke) quotes Joel 3:1-5 (Eng. 2:28-32) in order to make sense of the signs and wonders occurring around the witnesses at Pentecost. However, for modern scholars this quotation seems to only have muddied things, especially regarding its relation to the rest of Peter's sermon. One way scholars have attempted to makes sense of Peter's sermon is to say it was a patchwork of two sermons. That is, Peter quotes Joel 3:1-5 in one sermon, and then a new sermon begins at the point that he begins to talk about Jesus' ministry in 2:22-41. But might the "mighty works and wonders" in verse 22, related to Jesus' ministry (esp. Lk. 21 & 23), harken back to the wonders and signs in Acts 2:19-20? M. Weiss says that common to day of Yahweh prophesies is the appearance of God in what is called a theophany. Luke is clearly concerned about Jesus in his dual-narrative of Luke-Acts; it would seem also that he is concerned to demonstrate Jesus' divine nature; and further that Jesus' divine nature matters even after His ascension in Acts via the work of the Holy Spirit. Joel 3:1-5 would seem then also to matter in that it appears to be a thesis statement for Acts in its proclamation of the "pouring out of the Spirit" "in the last days." Luke views what is happening in their midst as the Day of the Lord (cf. Acts 2:17, 20). M. Weiss says that it is in the Day of Yahweh that Yahweh reveals himself in someway. I find as I continue to read vast amounts of scholarship, while very often interesting, those who presume to take on a "historical-critical" methodology are much like the interested fellow who really wants to understand how the lawn-mower works, and disassembles the mower completely, and then either leaves his investigation at that stage feeling it is best to do so since he has observed all there is to observe, or he has so deconstructed the mower that he has lost the actual shape of the mower and thus how to put it back together (Some scholars like Christopher Seitz say it doesn't have to be this way). Keeping the lawn mower together might make more sense and it may convey how it works best when it is assembled. So, taking a step back from the minutia of the text of Acts to the bigger picture, the question is: Does Luke report a single sermon by Peter, of course unlikely relayed verbatim but faithfully to meaning, or is it a patchwork? And what does it matter? If we consider Luke as an early interpreter of the Day of Yahweh traditions (which I feel like I have not seen), since of course he is an active reader of Scripture, and consider the statements of M. Weiss to be accurate, what would this say about Peter's sermon? It would seem to say that via Peter's sermon Luke is relaying to us a faithful interpretation of the theophanic appearance of God in Jesus Christ, and all that accompanies that, i.e., the rest of the story in Acts. 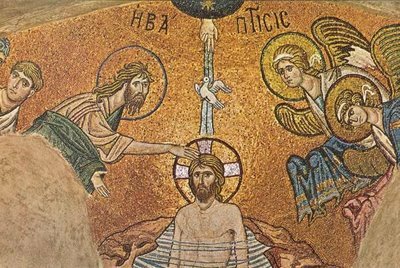 For Luke, Jesus is inherently the signs and wonders in the Day of Yahweh, and sign and wonders accompany Him indicate the theophany. Therefore, Joel 3:1-5 would best be understood as not alien to Acts 2:22-41, but maybe an explanation of it. I have a large lawn. My mower works best when assembled. It's a riding mower. I just changed its oil and put a new air filter on it. Works great!